To some Sellers, Open Houses are welcome because they only have to clean-up a couple times a week, and their efforts are rewarded because multiple potential Buyers view the property. 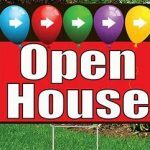 To other Sellers, Open Houses are unwelcome. But regardless of whether you are Pro or Con, there are many reasons why Open Houses are important to the success of your Sale. People want what other people want. 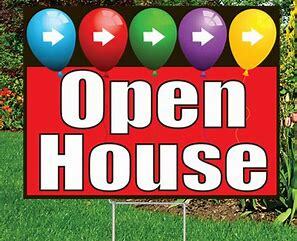 Seeing other visitors at an Open House, potential Buyers get positive reinforcement about their choice. People prefer to have the luxury a “window of time” to arrive, rather than having to keep a specified appointment. Even serious Buyers often prefer the so-called “ anonymity” of an Open House. They do not have to “declare their interest” by requesting a private showing in advance. Many potential Buyers have not yet made a commitment to an agent; and Buyers often hesitate to contact a Realtor for a private showing appointment. People who work a standard 5-day week need to attend to family & personal matters on Saturday. They are really only free Sundays to visit property. If they visit Open Houses, they can view more property in 3 hours than they can By Appointment.